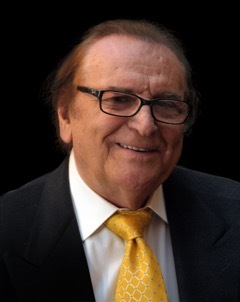 Giuliano Zuccato was an automotive design sculptor who retired from Ford Motor Company in 1988. Most notably, he worked on the original Mustang alongside Gale Halderman. After retiring, he formed his company Concepts International, where for the following twenty-years he sculpted wind tunnel models for the automobile industry internationally. Most notably, he sculpted the full-size, drivable model of the Chrysler Crossfire in record time. He also dedicated his time to the arts in sculpting, and in support of operatic performers at Giuliano’s Home for the Performing Arts in Northville, Michigan. He was dedicated to enriching others through establishing the new Horse of Destiny Foundation in 2017. 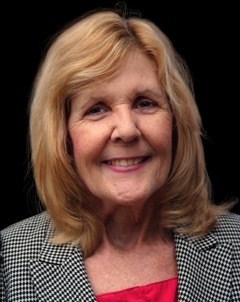 Deborah Skoll retired from the University of Michigan in 2016 where she worked as a research administrator and served as the recording secretary for faculty governance. She has three grown children and she resides in Bloomfield, Michigan. She is dedicated to working with Giuliano Zuccato to enrich others. 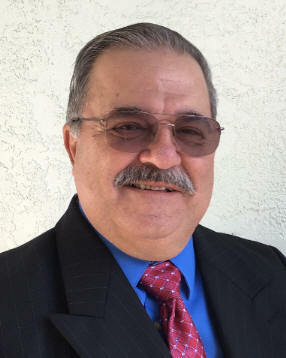 Michael Consoli retired from Graybar Electric where he served as the Branch Manager in Savannah Ga. Upon retiring he was able to spend more time pursuing his Mustang hobby. He is President and Co-Founder of the "Ponies In Paradise" Mustang Club of South West Florida. This is a family oriented club and also the largest Mustang Club in South West Florida. He is dedicated in helping grow the Horse of Destiny Foundation. Edmund Smith is owner of G & E Web Design and volunteers as our dedicated web designer. He has a lengthy career in food service and culinary arts, with a very impressive international educational background including apprenticeships under several famous Master Chefs, hotel and restaurant management, and a degree in marketing. Edmund also currently owns G & E Enterprises, a marketing firm, which is the Agent for Cathy Merrill, currently the World Grand Champion Women Arm Wrestling Newport, NH. Edmund joined the Board of Directors in 2018.